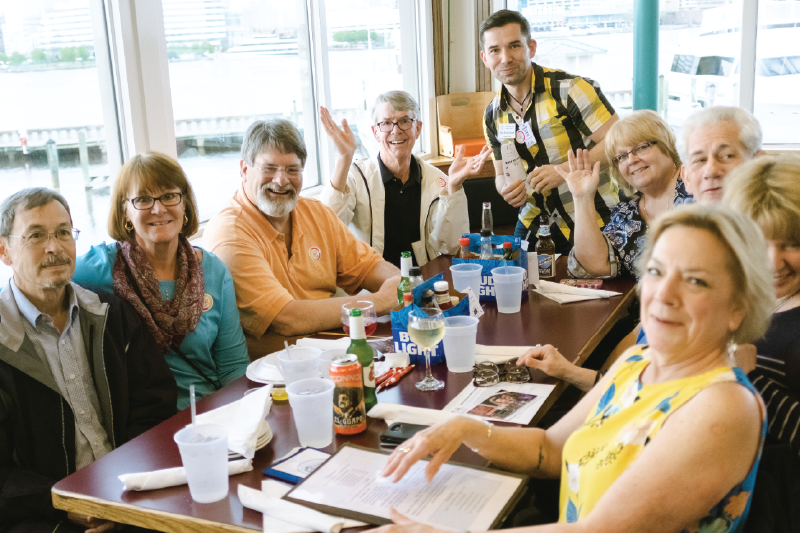 Home / Center News / 5 REASONS TO ATTEND DINING OUT FOR (LGBT) LIFE (CENTER)! 5 REASONS TO ATTEND DINING OUT FOR (LGBT) LIFE (CENTER)! Make your reservation today and dine out, end HIV! 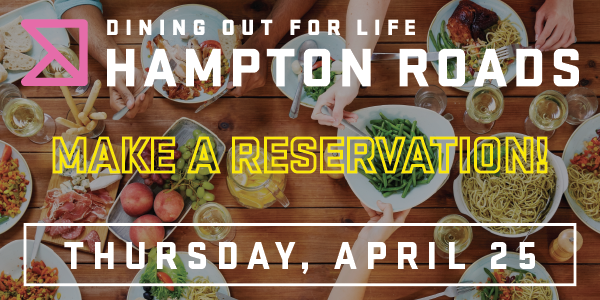 Make plans to dine out for breakfast, lunch or dinner on Thursday, April 25, 2019 and 25% or more of your total bill will be donated to end HIV/AIDS in Hampton Roads. 1. Help end HIV/AIDS by Dining Out For Life. Grab some friends and get some grub! Participating restaurants will generously donate 25% or more of their food and alcohol sales to LGBT Life Center to provide programs and services for those living with HIV/AIDS.Dine Out. End HIV. 2. You can skip the dishes and eating out is super easy way to give! Make plans to dine out at one of the 60 different restaurants for breakfast, lunch, dinner, or any meal in-between on April 25. 3. It’s a great time to get together with family and friends. 4. You could win some cool prizes. Catch up with those closest to you by inviting them to get food with you to support an amazing cause. Share your foodie photos and use the hashtag #DineOutHR while Dining Out For Life – you’ll be entered to win some amazing local prizes! 5. You have a great excuse to eat at one of your favorite restaurants! Contact Christopher Reybrouck at 757-640-0929 or creybrouck@lgbtlifecenter.org.